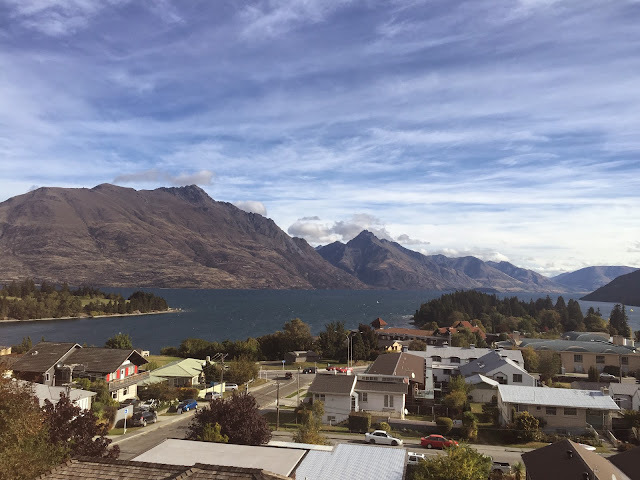 I’m in Queenstown this weekend, largely for a bit of R & R after a brutal couple of weeks. The biggest challenge with holidaying in a wine region is just to avoid it becoming Another Wine Trip. A little wine is great, but it can quickly dominate proceedings. So I’m laying low and doing more touristy things as a result. Plus a few wines. Tonight started with a Killarabbit IPA from Bannockburn Brewing Co., which was a particularly aromatic double IPA heavy with passionfruit hoppy characters. Maybe too much pineappley hops, but great intensity of flavour. 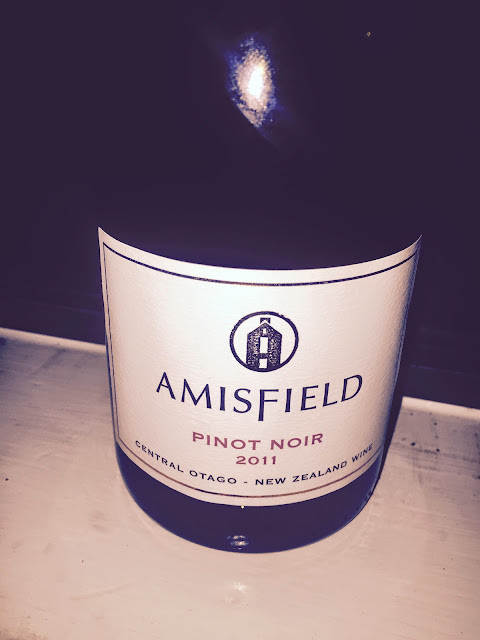 The wine of the night was the Amisfield Pinot Noir 2011, which was $84/ bottle on a local list. Seems quite fair all things considered. Ruby red in colour, it smells and tastes of raspberry liqueur with a lovely soft palate profile. The alcohol sticks out too much for it to be great, an edge of spirit to what is a lovely gentle raspberry fruited wine. Close enough to be enjoyable though. Great start.